CopyQ clipboard manager 3.7.0 was released a few hours ago with enhancements and many bug-fixes. 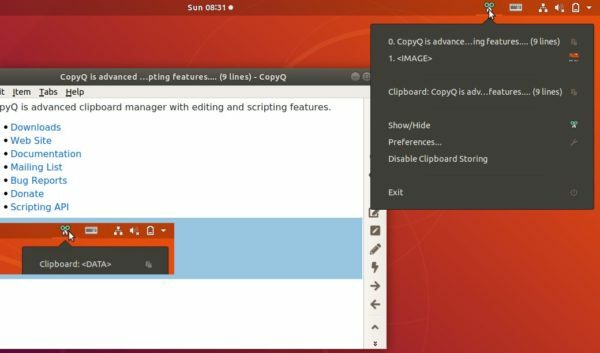 Here’s how to install it in Ubuntu 18.04, Ubuntu 16.04, Ubuntu 18.10. The official PPA repository has made the latest packages for all current Ubuntu releases and their derivatives. Input your password (no asterisks feedback while typing) when it prompts and hit Enter to continue.